Note: For People wishing to only buy the Chilli Stick I offer a postage refund according to the actual cost. Note: This product contains hot chilli. It is not suitable for children. Apply sparingly to a small area or approximately no more than a 5 cm sweep. Times vary on when it will kick in but it will. 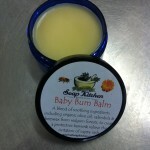 By far the best pain balm we have ever made! 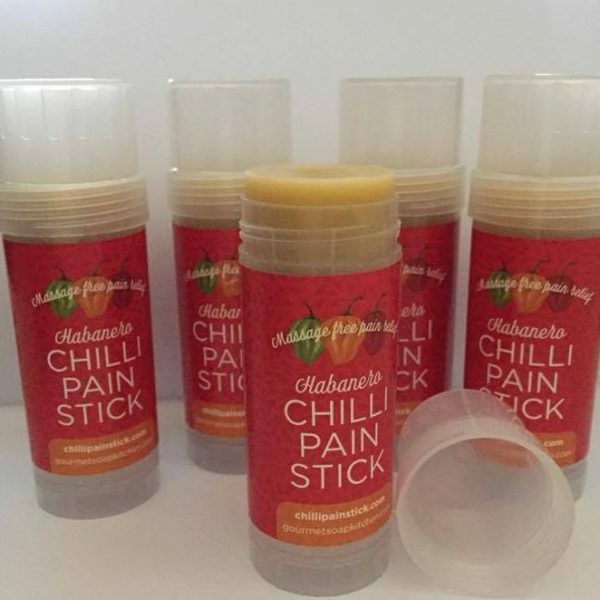 We took The popular bees Knees Pain stick and infused habanero Chilli …….and WOW! After years of human testing every person came back with incredible results. One lady after a pregnancy had a very painful foot that after months of suffering it worked instantly and the pain did not return for 24 hours. Another with a chronic elbow pain was headed to get a cortisone injection, she put it on and three hours later popped in and had completely forgotten she had an elbow problem and had full movement. 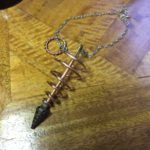 My neck pain after a motorbike accident is no longer an issue….it takes about 15 minutes for it to penetrate deep in the neck and as I am typing this I feel the pain gone. Because it is in a wind up stick form there is no need to touch it or to massage it in…….it just goes to work. Sometimes when I use this pain stick its like it is like a warm hug helping me relax and sleep. And good news is that if I have no one to massage me it’s always there. Sometimes even if I have trouble sleeping I put it on any areas in pain and it still surprises me how well it works. I was working with an old plant healer and we were talking about the pain I suffered with after a motorbike accident. Usually I would have to resort to pain medications which didn’t even work for me. He said you need to try Habanero chilli and put it in a cream. Of course that meant washing my hands after every use and it was messy. 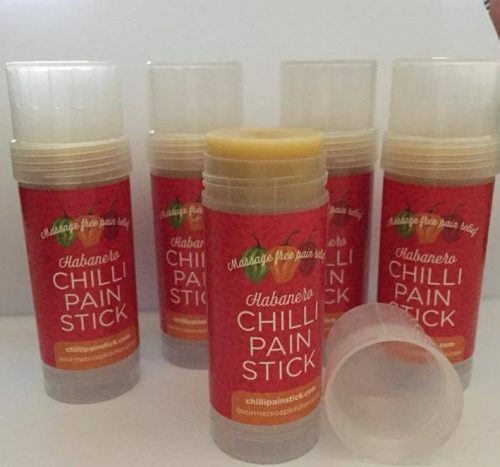 I was already making a great pain stick and thought I should add these chilli plants to it. It not only worked on my injuries it stopped me from having neck migraines. I would put it on and it numbed my pain and stopped my getting blind spots while the migraine took its course. I had loads of other people try it and I was astounded by what it was doing. I NEVER EXPECTED IT TO WORK THIS WELL. 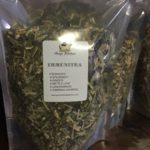 Arnica : which is often is applied to the skin for pain and swelling associated with bruises, aches, and sprains. 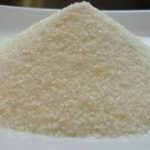 It is also applied to the skin for insect bites, arthritis, muscle and cartilage pain. Calendula : which helps reduce pain and swelling, antiseptic and antimicrobial action of the oil help speed up healing of wounds and many other things. Comfrey : that helps with wound healing, reduced pain, anti inflammatory and bone growth amongst many things. The base is a pure local beeswax from the mountains of the Riverina and local olive oil grown with no pesticide, along with pain relieving and invigorating essential oils. I was so proud of this product I made in my kitchen that it had to have a stand alone from all the other organic things I make. Pain relief if so important, people who suffer with it know. Id consider this the best gift to anyone who you know suffers with pain.